Flying in economy or premium economy with Air New Zealand (or one of the many that use its lounges), but still want to use the Koru or international business class lounges in NZ, Melbourne, Sydney or Brisbane? Hand over some cash and the answer will be "right this way, please", under a new scheme where you can purchase entrance on a walk-up basis. 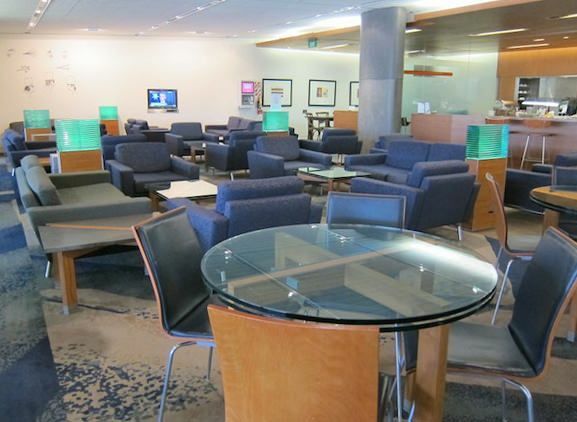 Prices start at NZ$35 (A$27) for up to four hours in the domestic lounges at Auckland, Wellington and Christchurch. It's $55 (A$43) for more than 4 hours. International lounges in Auckland, Wellington, Christchurch, Sydney, Melbourne and Brisbane start at NZ$55 (A$43), or $85 (A$66) for more than four hours. Overall, it's good value if you happen to be taking an afternoon or evening flight and need to clear out of your hotel early, or if you have several hours between your last appointment and the plane. Air New Zealand's lounges are up to a reasonable standard for our region, though they're not up to the the Qantas Business Lounge, nor the new Virgin Australia Lounges. My personal call: it's worth it if you're hungry, thirsty, really need some Internet or will be there more than two hours. If your flight is delayed or cancelled, you'll also have access to the especially helpful staffers, who frequently have special rebooking and seat allocation powers -- much better than taking your luck in the queue in the terminal. In terms of the food and drinks, you'll find salads, soup, cheese, and occasionally a hot dish. New Zealand and Australian wine are featured, with most bottles around the A$10/NZ$15 mark. Fine for a glass or two -- but, like the lounges, nothing to write home about. Sydney: large, busy and looking a little frayed around the edges, Sydney's large barn-like lounge is contracted to over a dozen airlines, many of which you can see through the large windows. Melbourne: the ground-level "bunker" in Melbourne feels more intimate and a little newer than Sydney's, and has a wider range of seating styles. And a foozball table. Peering out at the tarmac can be quite entertaining at times. Best in Australia. Air NZ's Melbourne bunker has restricted (though often interesting) view. Brisbane: this rather small lounge is the smallest in Australia, with a lovely view of a car park. Auckland International: functional, but feels very worn. I miss the chance to get rid of my last NZ dollars with a footrub -- Air NZ removed the spa area last year. Wellington International: tiny one-room lounge (smaller than Brisbane), with the world's worst power points and a view over the scenic car park. Wellington's international lounge is two small for the three flights that use it most afternoons. 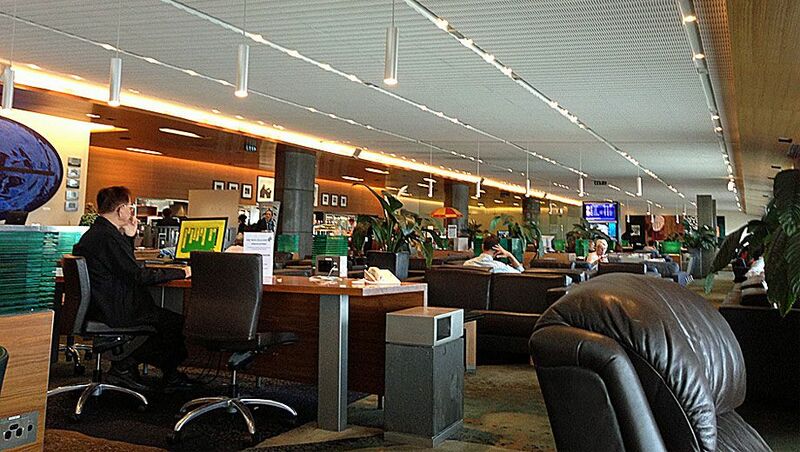 Christchurch International: the newest international lounge, it's chic and feels like a winter lodge. No view, though. Auckland Domestic: it's functional and in relatively good nick, but finding a power point is a real pain. The far end has some decent views out onto the runway. Wellington Domestic: floor-to-ceiling runway and sea views, a large space and the chance to watch planes wobbling their way into windy Wellywood -- this is the best domestic lounge in NZ, and arguably the best lounge in NZ. Christchurch Domestic: the worst of the domestic lounges in the worst of the domestic airports, this one's well overdue for demolition. Only worth it since the rest of the terminal should be knocked down too. Will you be buying your way in? 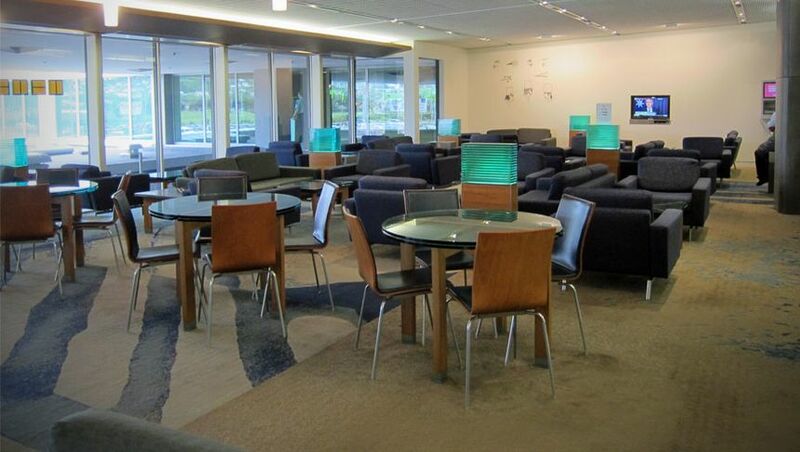 Do you agree or disagree with our impressions of each lounge? Share your thoughts in a comment below! And as ever, all the latest is on Twitter: we're @AusBT. I'm really lucky to have Star Gold status, so I would ordinarily have access to the NZ lounges anyway on an NZ or Star Alliance flight. But if I didn't have access to NZ lounges, I probably wouldn't bother with paying for it unless I had a long wait. Simply because I don't think the lounge product is of a standard where I'd want to part with money for access. But each to their own, I guess. They obviously wouldn't offer this if they didn't see a demand for it. Yes, I'm in a similar position with frequent flyer status and my opinion of the lounges, but my conclusions are slightly different. If my options were "wait at home/office/hotel and arrive at the airport late" then I'd do that, but the unfortunate reality (especially flying trans-Tasman) is that flights are a pain in the schedule. NZ$35 or $55 for a few hours' comfortable sit-down and a glass or two of that decent Yealands Merlot (or is it a Malbec) and I'm sold. On a related note, I've been doing a lot of international travel around Europe and the US this year, and we really don't know how lucky we have it down this end of the world with lounges! Must say I'm not such a fan of this idea by AirNZ mostly because I find their lounges are usually overcrowded as they are with existing customers from both their own flights and those of their partnes. I wonder if AirNZ has any plans to limit the number of ad hoc customers at any one time to ensure everyone in the lounge is comfortably accommodated? That's my concern too, ciaomucca, and I've asked that question of Air NZ. I'd be interested to hear from anyone who hears of people being turned away. I would be annoyed if I was a Business Class passenger or high status holder as it will undoubtedly mean that my more peaceful oasis of the lounge will now be busier and fuller than before. Not sure this is my idea of Air New Zealand looking after their premium passengers. I'd have to agree the Melbourne lounge is their best lounge in Australia. People should get lounge access for their loyalty not for forking out $66.00! 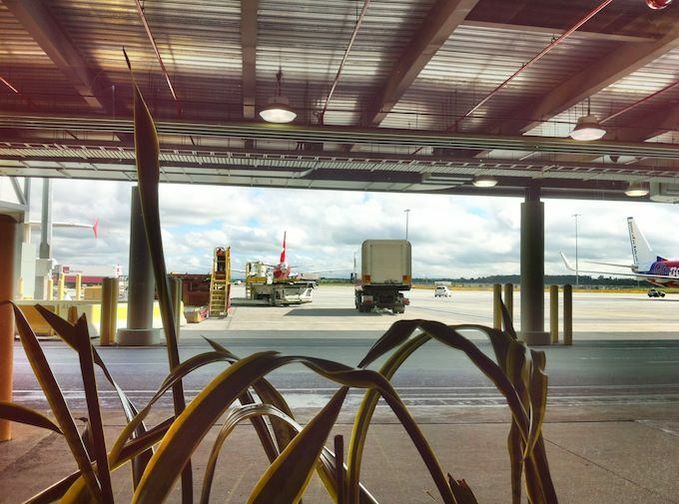 When I flew BNE-WLG back in 2010 I considered purchasing a lounge pass, but as BNE has the smallest lounge, and BNE International isn't the worst airport in the world, it really wasn't worth it. Had I been flying NZ home from AKL, I would have givne the AKL Koru Lounge a go though. Comment on "Pay your way into Air New Zealand's Australian, NZ airport lounges"